Attaches smoothly with a self-adhering surface and leaves no residue when removed. For the best effect, we strongly suggest you to install the screen protector in a dust free and quiet environment. Please read and follow the installation steps before installation. The cleaning solution is not suitable for matte surface screens. 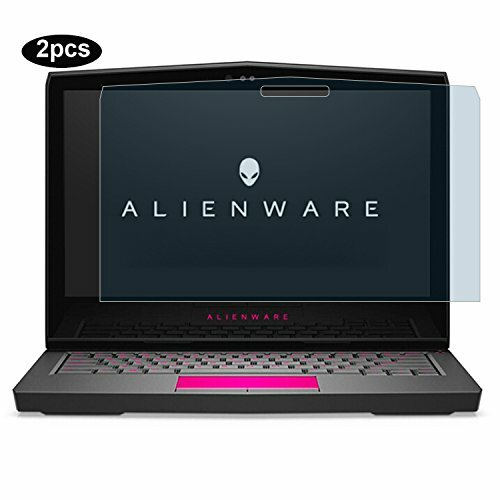 Specially designed for Dell Alienware 13 R3 AW13R3-7000SLV 13.3" Gaming Laptop, NOT FIT OTHER DEVICE. Protects your Laptop screen from daily scratches, dust, scrapes, and normal signs of wear during daily use. Package includes: 2pcs of computer screen protectors, 1pc of cleaning cloth. Best service and 100% money back gurantee. If you have any questions about this product by YOUPECK, contact us by completing and submitting the form below. If you are looking for a specif part number, please include it with your message.